In 2012 Landman formed the 2-piece band Bismuth w/ producer & multi-instrumentalist Arnold van de Velde. He built a wide range of electric percussive instruments for Bismuth when the band grew into a broader set list. 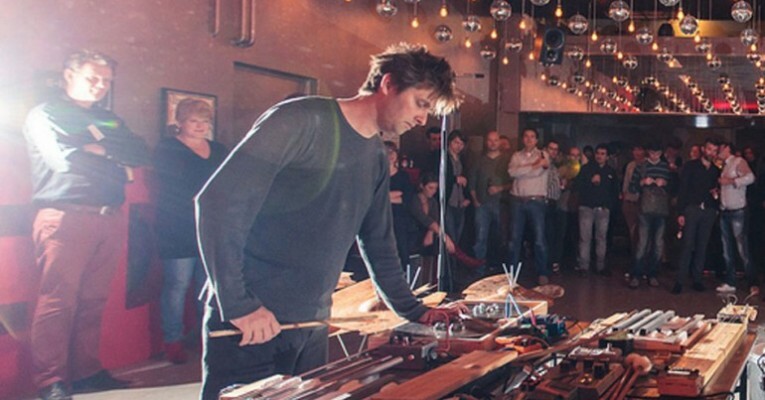 Besides his performances with the instant ensembles and Bismuth Landman also starts to perform solo with help of self built electronics and motorised instruments. Late 2013 Landman starts doing a series of solo-performances with motorized instruments, string and steel instruments, self built electronics and modulation pedals.